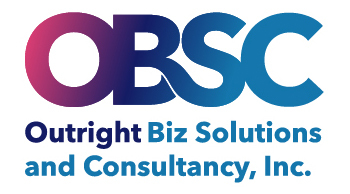 Outright Biz Solutions and Consultancy, Inc. Outright Biz Solutions and Consultancy is your friendly alternative catering to business start-ups and small to medium enterprises. Because you are a growing business, you need someone who understands your numbers and give you outright results beyond the debits and credits. Clients of Outright Biz Solutions and Consultancy, Inc. connect to a range of banks via Xero. Outright Biz Solutions and Consultancy, Inc. specialises in working with some of those banks; they can help with setting up bank feeds, and are knowledgeable about accessing bank loans and streamlining payments through Xero. Outright Biz Solutions and Consultancy, Inc. works with businesses across a range of industries. They specialise in helping to choose apps that integrate with Xero to boost business performance for some of those industries. Xero is beautiful online accounting software for smaller businesses. Outright Biz Solutions and Consultancy, Inc. can help make your switch as smooth as possible.